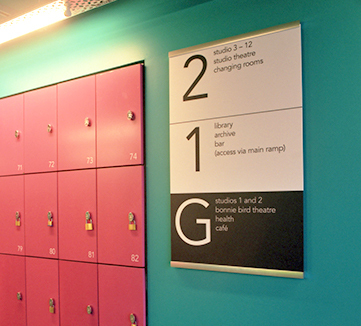 Contemporary sign makers of indoor and outdoor signage in the UK. Fristem has an engineering aesthetic that sets it aside from other display products. Artemis is a high specification product that can be suspended or projected from walls. Paneltex is a very robust, tried and tested signing product that has been used extensively for many years. 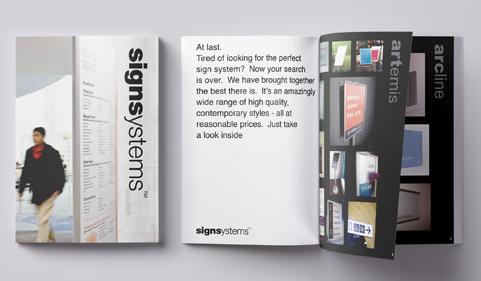 Now firmly established as one of the UK’s leading contemporary sign makers, signsystems have originated a unique family of sign products which compliment any environment. Designed in such a way that you can match product types internally and externally, it is quite possible to achieve a flowing, uniform aesthetic feel to any building or establishment. A number of signsystem products are designed to give you maximum flexibility when it comes to fixing applications – the ability to wall mount, project, suspend, free-stand or post mount are designed in to the products. signsystems can also adapt existing sign ranges by amending colours, sizes and profiles to suit the direct demands of our customers. View our brochure online to choose the products you need for your project.